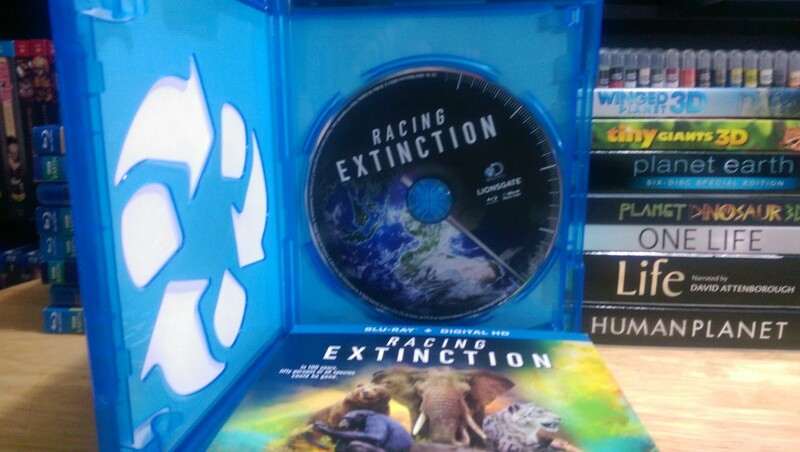 Racing Extinction (2015) Blu-ray Review - ReDVDit! Take a breath, now take another. The oxygen for the second breath was provided to you by the plankton in the ocean. Now what if I told you that there has been a 40% drop in that production in the last 50 years and that if it continues to decline at that rate, in 100 years 50% of all species on this planet could be gone? This is what Racing Extinction wants to make viewers aware of. Species are becoming extinct at a rate of 1000 times faster than normal, and it is time we paid attention. If you have read my other posts you may be wondering why a guy who enjoys cheesy martial arts and horror films picked a nature documentary to review. The fact is, I love nature docs and I have every one that BBC Earth has put out on Blu-ray, as well as many others Just like fictional films, there are some amazing ones and others you’ll have to slog through and never watch again. 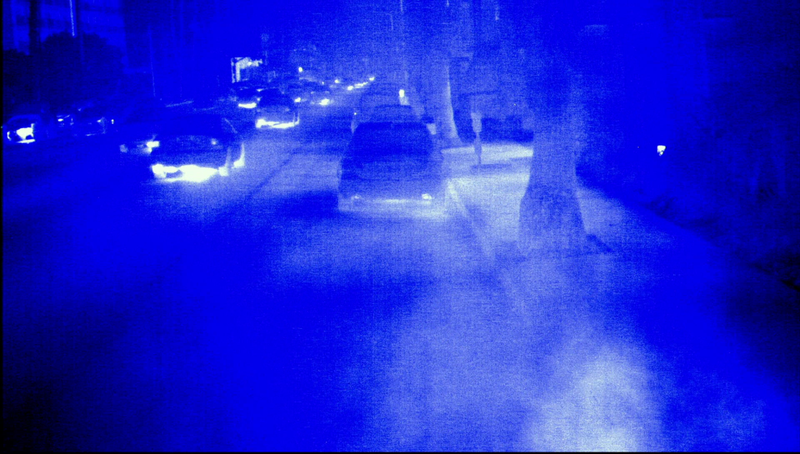 Racing Extinction is a little different than your garden variety nature documentary. It’s part narrative, so it has a build up and payoff at the end while being shot in normal documentary style. Our film opens up on an undercover sting operation where the film crew is trying to capture footage and samples at a restaurant in California serving endangered whale meat. It shows the subsequent fallout with the restaurant being closed and people arrested in the news. 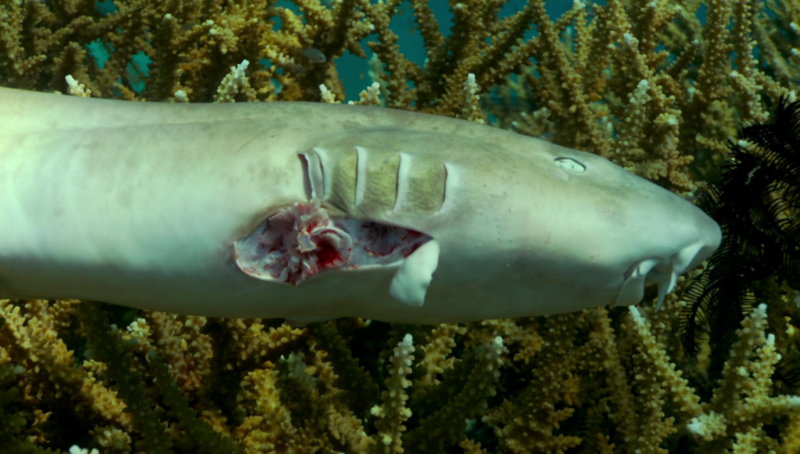 This documentary takes a different approach with endangered species. It doesn’t focus on just one animal and overload you with facts and numbers. While there is a great deal of information, none of it is anything that a grade school child wouldn’t understand. Instead, the film takes you on different trips around the world trying to highlight many different issues and problems. 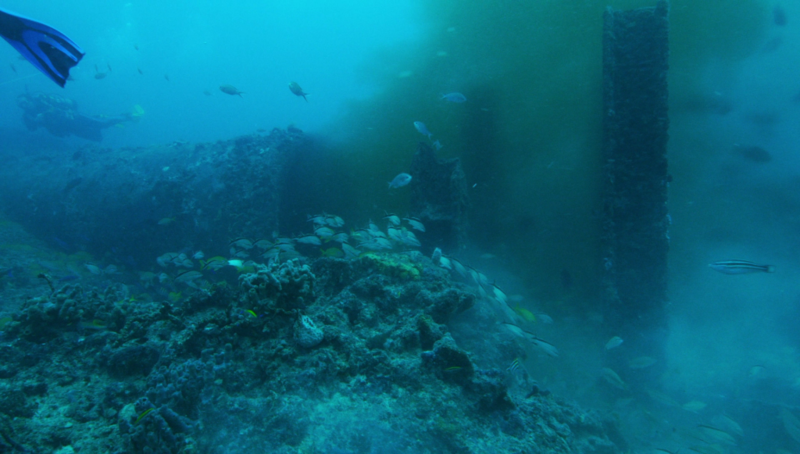 The film was made in conjunction with the Oceanic Preservation Society so it does tend to focus a little bit more on sea creatures, but it does delve into some land animals as well. You’ll see first hand the sheer amount that some of these animals are hunted. 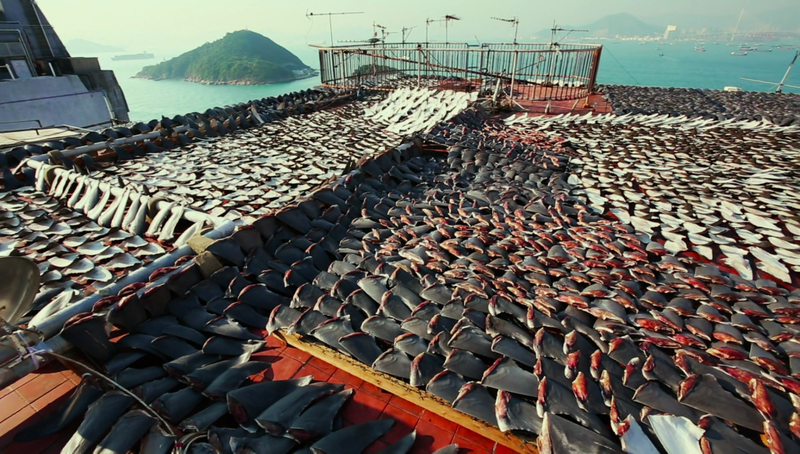 There are rooftops filled with shark fins drying out in the sun, and manta ray bodies littering floors of illegal processing plants. The documentary also outlines what steps some people are taking to avoid this and curb demand. Things like commercials with Yao Ming denigrating shark fin soup (which has helped decrease demand by 70% in China) or a local village able to make more money in tourism swimming with whale sharks instead of hunting them. Racing Extinction is a good gateway film for either children over the age of 8 (animal killing is kept to a minimum but still impactful, no grossly overt videos) or those interested in the subject. 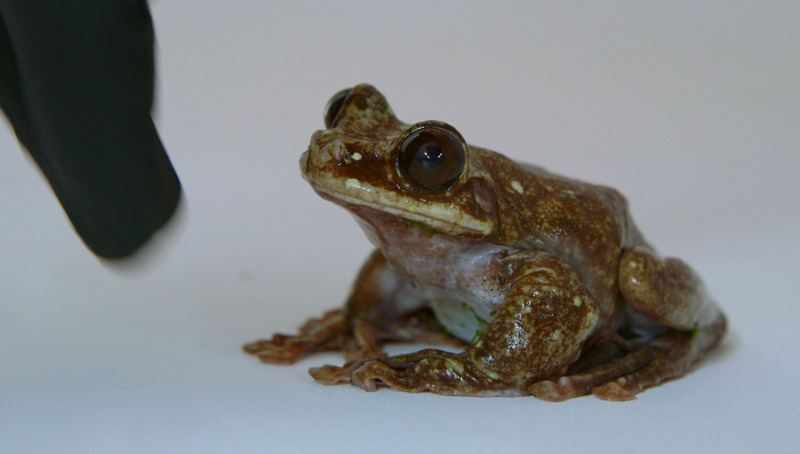 You’ll meet some interesting animals including a frog that is the very last one of his species on the planet and how livestock produces more harmful gases than the entire transportation sector. 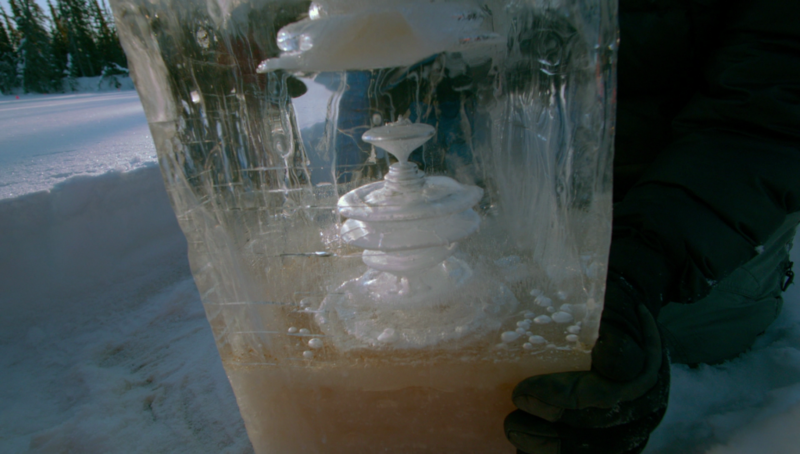 It also touches briefly on how we are currently in the Homocene extinction and it is eerily similar to the Permian due to all of the methane gas trapped under the ice caps. The Permian Extinction wiped out 95% of species on the planet. Yeah, not good. If you have no interest in nature documentaries then this probably won’t be any different for you, but if you haven’t seen any, this is a great place to start since it is more general and keeps a film-like narrative. The picture quality can be quite inconsistent. This is mainly due to parts of the film using some older stock footage and as mentioned above they do quite a bit of undercover work, so some of the buttonhole and other spy cameras aren’t your typical movie quality. The regular camerawork is great and everything is clear and nicely detailed. The underwater and nature shots look nice and other than a few that come off a little dull, they are vibrant and colorful. Unlike normal nature docs, the focus isn’t on the bright beautiful colors and animals, so that may have played a factor in trying to be more substance than style. 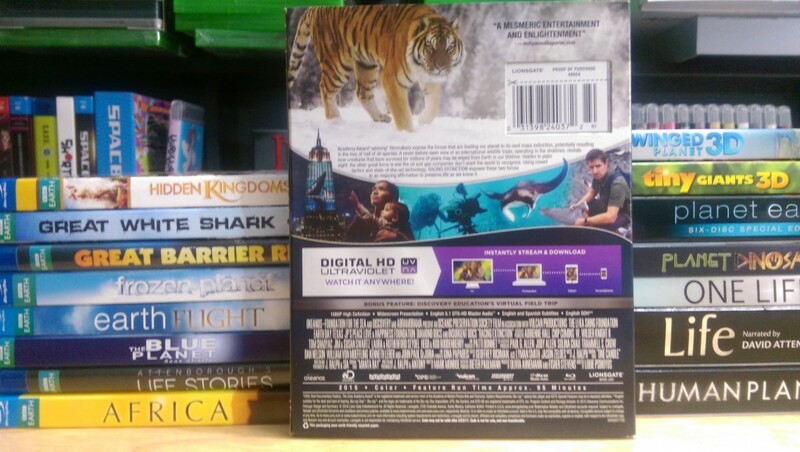 Racing Extinction has a DTS-HD Master Audio 5.1 mix that gets the job done. It’s hard to rate a mix like this because for the most part it is closeup sequences and people talking straight into the camera. Everything is clear and audible. The animal sounds they do have are nice and fill the room. There isn’t anything to really nitpick but nothing to wow you either. This feature goes slightly more in depth with certain animals and what can be done to helped them. This is a Discovery education project, it allows students in classrooms to ask questions to the experts. It also gives ideas that individuals can do to help counter some of their footprint on the earth. There a quite a few success stories in turning extinction around for certain species. This feature might not be for everyone, but if you enjoyed the main documentary then it can be certainly worth checking out if you do want to takes some steps to help out. I think this film does a great job of introducing its viewers into the fact that we are in the sixth great extinction and it is being caused by humans. It also focuses on awareness, so the viewer can learn about how to get involved. It never tries to beat you over the head and make you feel like you are personally the cause like some overzealous activists might. It’s certainly an eye opening and sad film, but also hopeful. The lone special feature goes into depth of what everyone is able to do if they want to help out. I think this is a wonderful film for classrooms and parents to watch with their children. I bought this on release last month for $14.99 and I definitely think it is worth that price, especially with the nice slipcover and UV code to share or watch again while traveling. 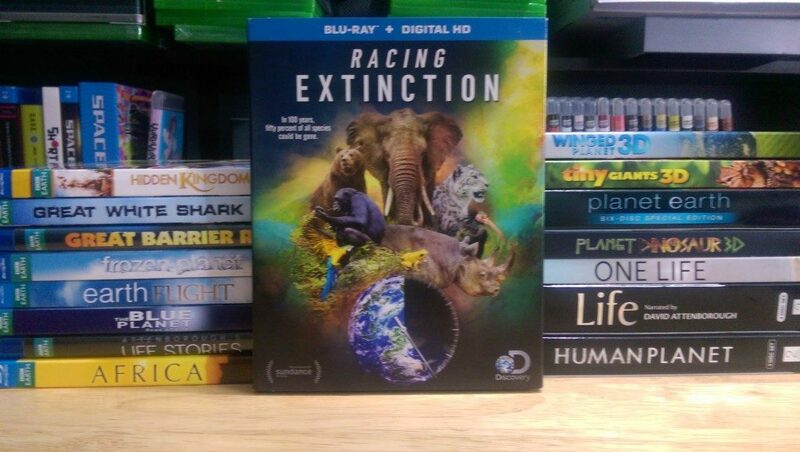 Racing Extinction can be found on Amazon which will benefit our site here or for a few dollars cheaper at Best Buy. In the spirit of the film I am also going to link seafoodwatch.org which is a fantastic site. All you have to do is search for what type of fish you want to eat and it gives the best recommendations of what is sustainable or not. There is also an app you can use right at the grocery store. Every little bits helps.